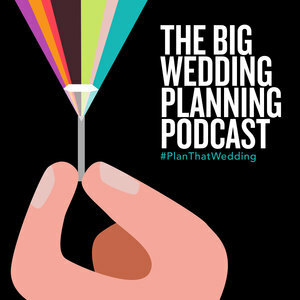 We found 10 episodes of The Big Wedding Planning Podcast with the tag “wedding planning”. The way to a wedding guest’s heart is through their stomach. The reception typically makes up 50-60% of your overall wedding budget. Let’s talk about how that money gets spent on food! You are going to LOVE cake celebrity Lauren Kitchens! If you heard our Pilot episode and the mention of "fake" wedding cakes, you're going to want to listen to this one. Lauren is the owner of Fancy Cakes by Lauren, in Dallas Texas. Lauren has been featured on the Food Network several times and happens to be a dear friend of Christy's. #13 Cheers To Wedding Toasts! "Let’s talk about gifts, baby - Let’s talk about you and me - Let’s talk about all the good things...Salt n Pepa? Anyone? Ok. In this episode, Christy and Michelle talk about the wedding registry. Where to register, how to register, what’s new in the world of wedding registries, our advice, our experiences and our favorite wedding gifts. Listen to this episode and learn all about wedding gifts, from couple, to guest, to planner.